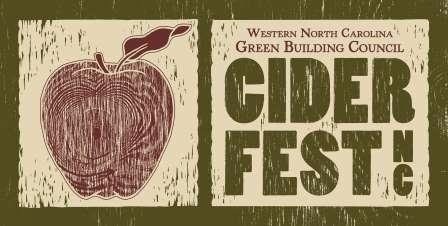 As with the rest of the United States, the craft cider scene is exploding at an impressive clip. 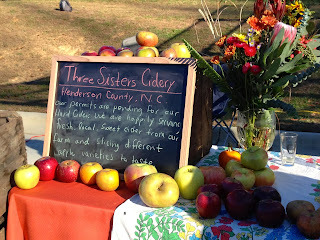 Asheville is embracing this young and exciting movement, with a rapidly developing cider scene of its own. Six months ago there were no local cider companies in the area -- now there are three. 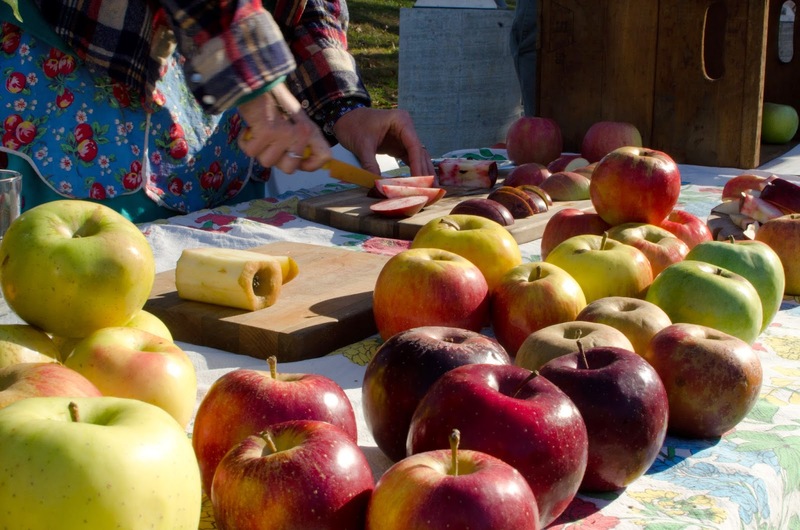 It’s a movement that’s well suited given Western North Carolina’s abundant apple production. 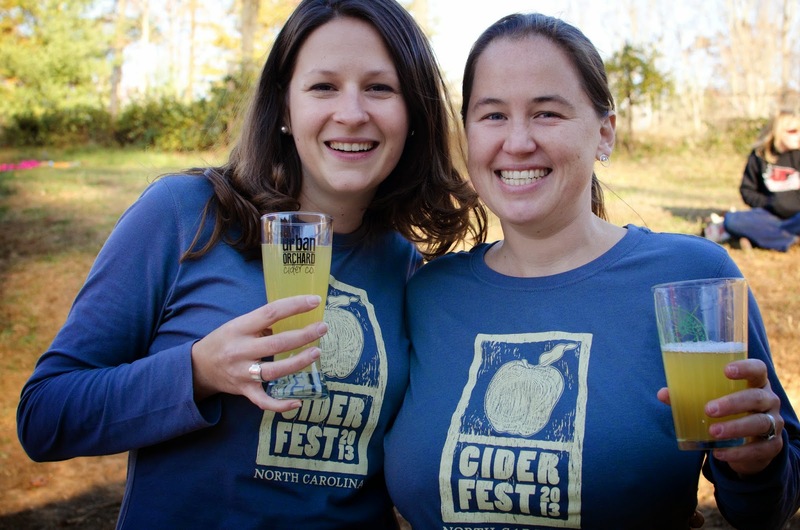 Two events from the past month, the first annual CiderFest NC and the MALT club annual cider pressing, introduced a number of craft beer enthusiasts to the world of cider. 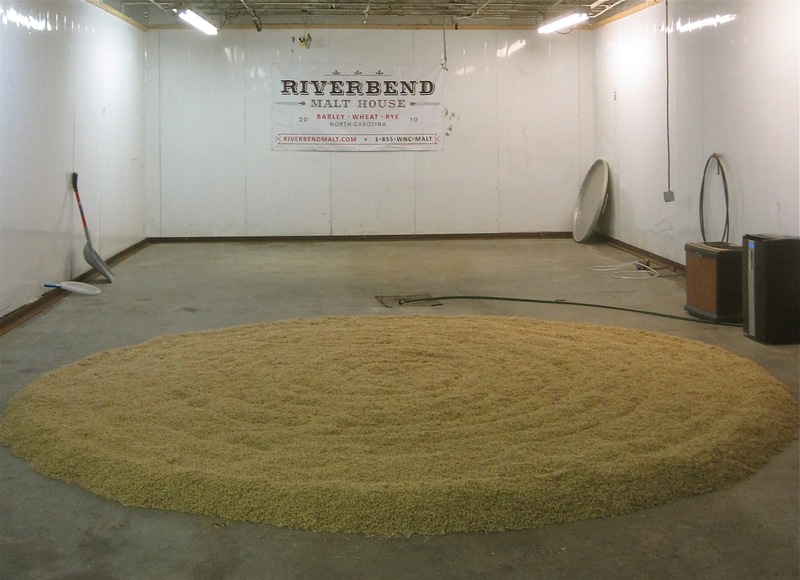 Day by day, brewers around the country are embracing local ingredients in their beer making, whether malt, hops, honey, produce, or yeast. Now, as a new generation of brewers prepares to enter the workforce, that commitment to local suppliers is top of mind. 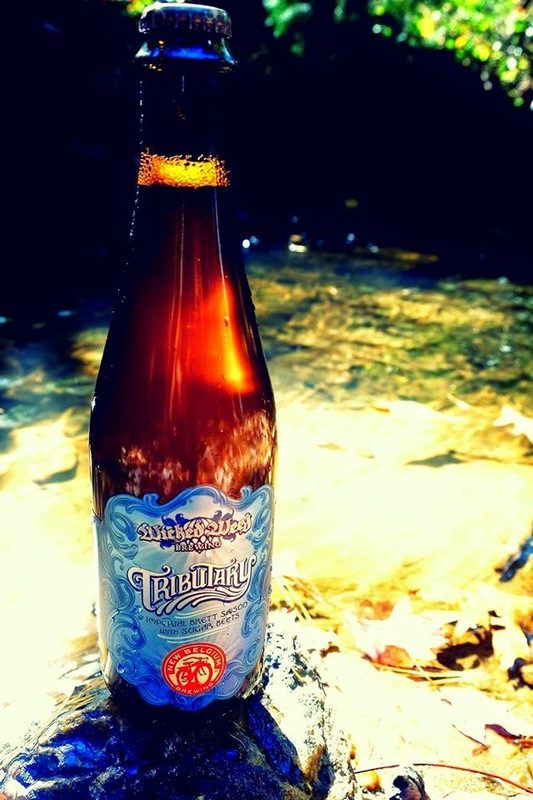 I recently spoke with Rusty Kuhfeld, Lab Coordinator for the Appalachian State fermentation science program, to get the scoop on a beer made with ingredients sourced entirely from North Carolina. 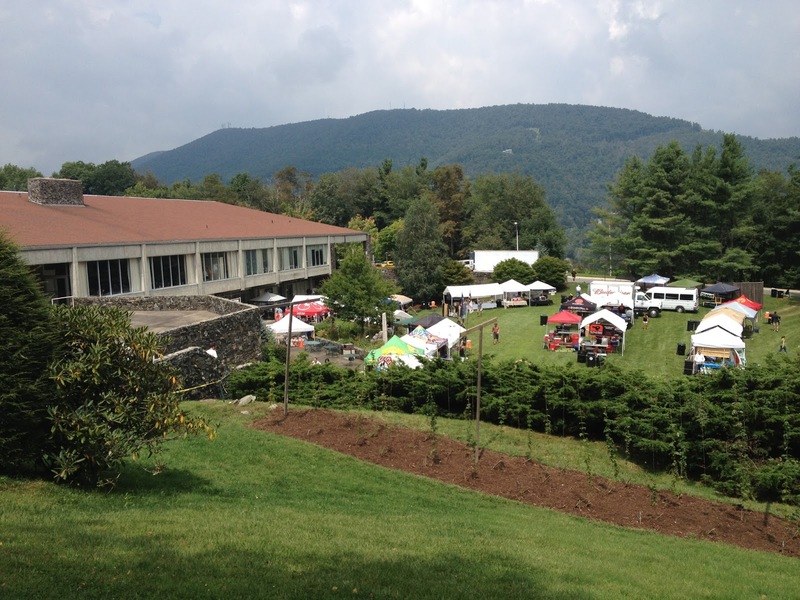 Ivory Tower Brewery is the pilot brewery at Appalachian State University in Boone, NC. ASU's fermentation science program is an increasingly popular course of study, allowing future brewers and winemakers to earn a four-year fermentation science degree that will give them a significant leg up when they're ready to enter the industry. 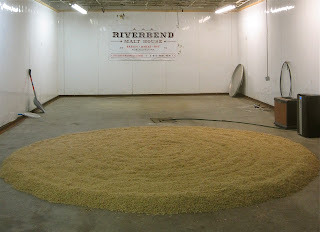 The program recently purchased a 3-barrel brewing system, allowing them to produce upwards of 90 gallons per batch. The plan is to sell the beer produced by the students in order to help fund research and supplies. 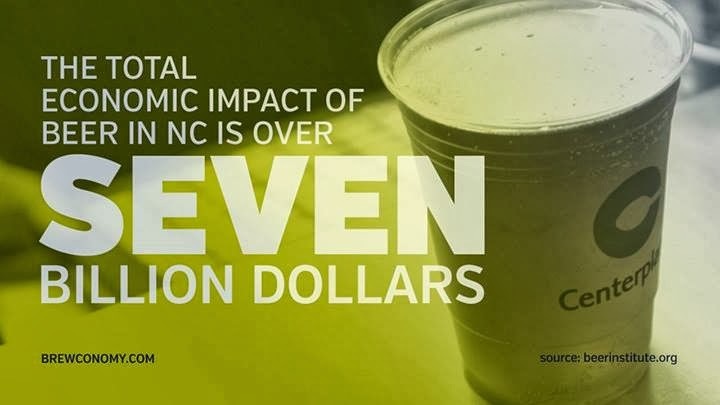 Unfortunately North Carolina law prohibits the sale of alcohol produced by universities, but they hope that the state will revise its laws so that they can raise money for the program, clear out capacity, and allow the students to gain more experience. The fermentation science program also offers lab services for professional craft brewers to receive analysis on things like IBUs and alcohol content, color, and clarity. A lot of exciting beer events coming up in the Southeast: beer dinners, festivals, New Belgium "Clips" Film Festival... Are you ready? 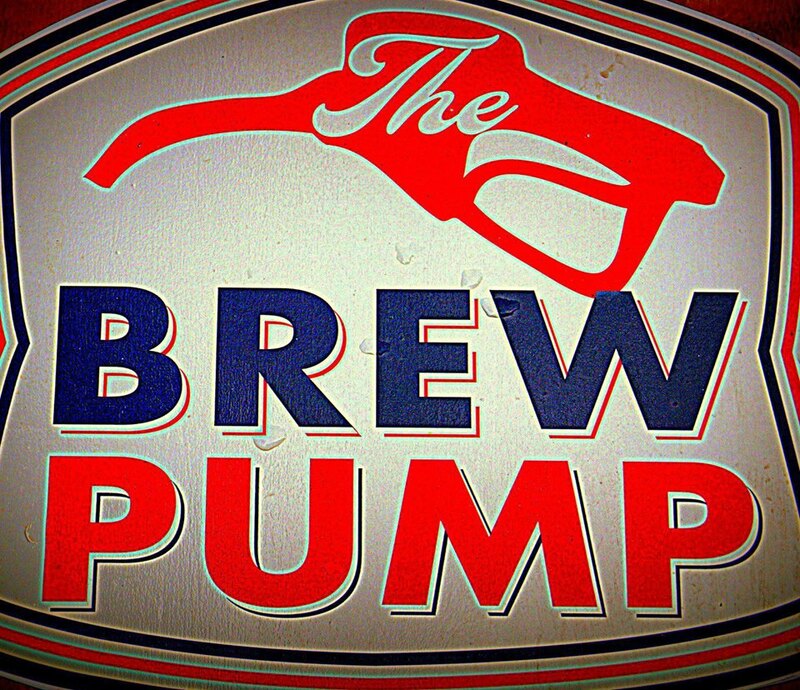 The Brew Pump is a brand new beer bar in a converted gas station at 760 Haywood Road in West Asheville. 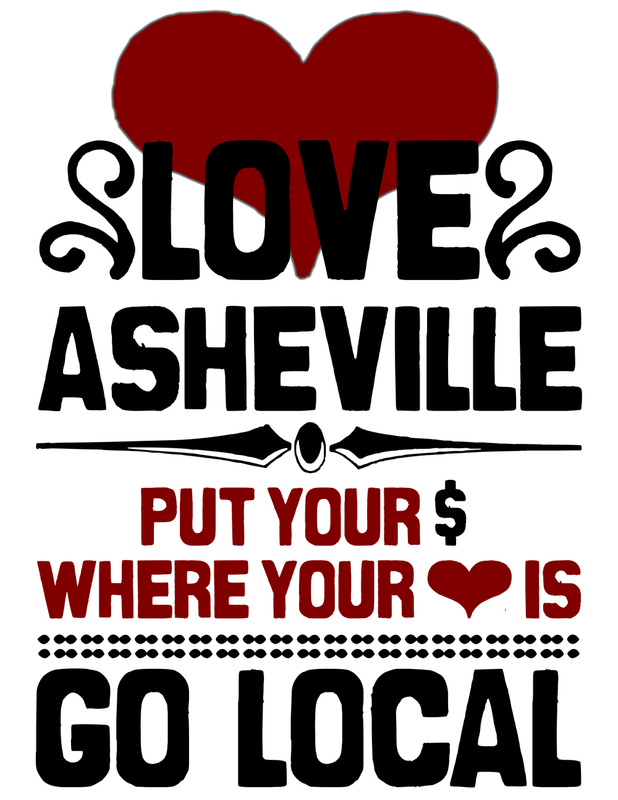 This is the bar's first pint night, featuring our new neighbors from down in Brevard. 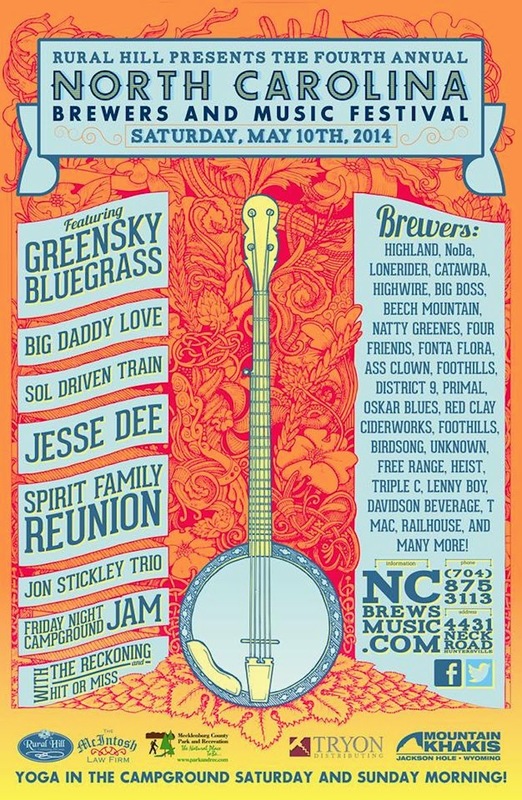 There will be bluegrass music with Steven Shealy, free Oskar Blues merchandise, and the El Kimchi Food Truck will be on site providing the grub. even more impressive mountain views. 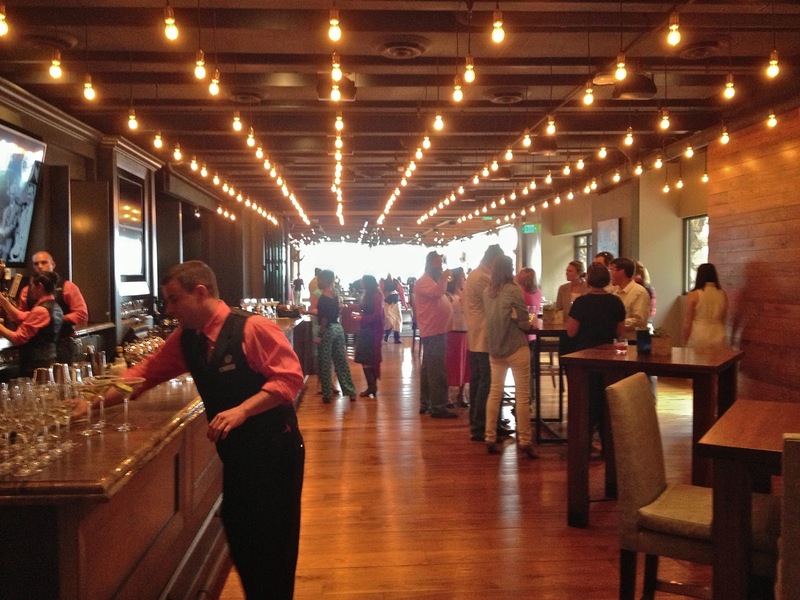 Someone made a very wise move when they decided to make craft beer and local food the focal point of the Grove Park Inn's classy new restaurant. Edison Craft Ales + Kitchen carries ten North Carolina beers on tap, including several local brews. Edison will offer flights of up to four pours, allowing drinkers to sample some of North Carolina's finest ales and lagers. The draft beer selection is rounded out by number of quality canned and bottled beers, again with a focus on the regional and local. 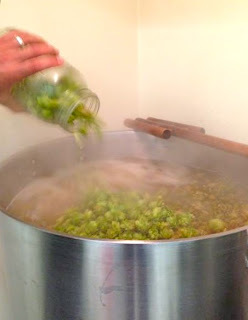 If you missed the Hops Growing in North Carolina workshop this past March, don't despair. 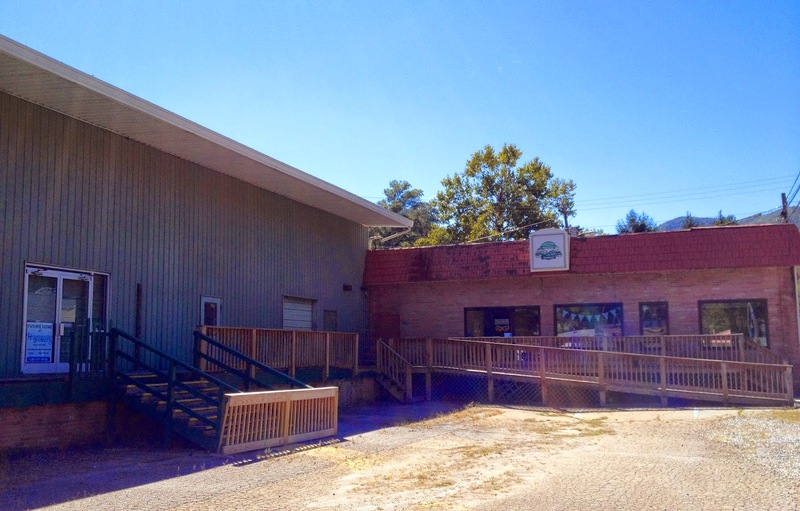 The Mountain Horticultural Crops Research Station in Mills River, NC, is offering a free, public tour of their hops yard this Friday, July 12th, from 4pm to 6pm. This is a great opportunity to learn all about the challenges that face a possible hops industry in the Southeast. In case you haven't heard, Sierra Nevada's building a giant brewery down in Mills River, so see below for travel information. There is a suggested donation of $5 per person. 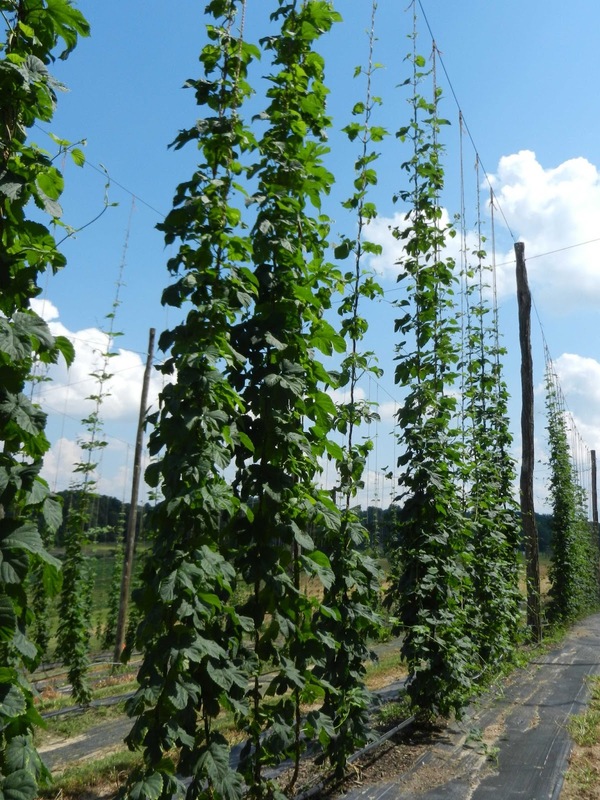 "In direct response to the expressed needs of hops growers in North Carolina, three years ago we established a hops variety trial at the research station in western North Carolina. Ten varieties were planted on a 20 foot trellis. The first year (2011), we had one of the prettiest hop yards in the Southeast. The second year (2012), Downy Mildew, spider mites, and Japanese beetles took a terrible toll on the plants and the differences between varieties really became apparent. We lost one variety completely; Newport. Downy Mildew actually killed the crowns﻿. This spring we took the opportunity to informally test a few new varieties by planting them where the Newport crowns had been planted. This year we have taken a much more aggressive approach to controlling diseases and insects. We have also done some cultural practices, such as spring pruning in an effort to increase lateral formation and yields. With new NC legislation expanding the rights of retailers to sell growlers, the owner of Asheville's Bar of Soap has pounced on a new business opportunity. 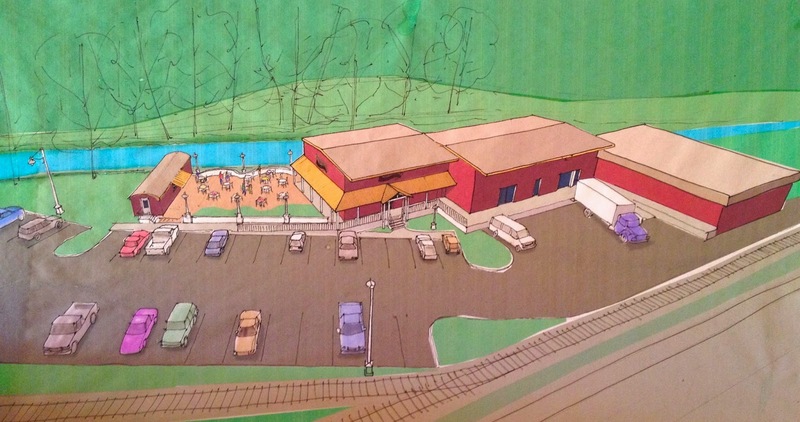 The retail outlet in North Asheville will be located a stone's throw from Asheville Brewing Company's Merrimon Ave. location. Check out the press release on Ashvegas.com. Just a couple weeks since their grand opening weekend, there is a lot of good chatter about the brews coming out of Burial Beer Co. 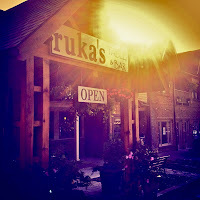 This is definitely a brewery worth keeping an eye on. Ben's Tune-Up, a bar, restaurant, and sake brewery, opened this week. Read Emily Patrick's fun run-down for the Mountain Xpress, while BlogAsheville gives us a preview of their Asian-fusion menu. 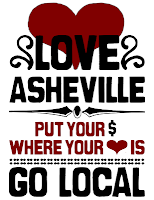 The best part is, Ben's is located right between Asheville Brewing Company's Coxe Ave. location and Hi-Wire Brewing Co., making for one hell of a bar crawl. This week marks the release of Hi-Wire's 12-oz. bottles in the Asheville market. 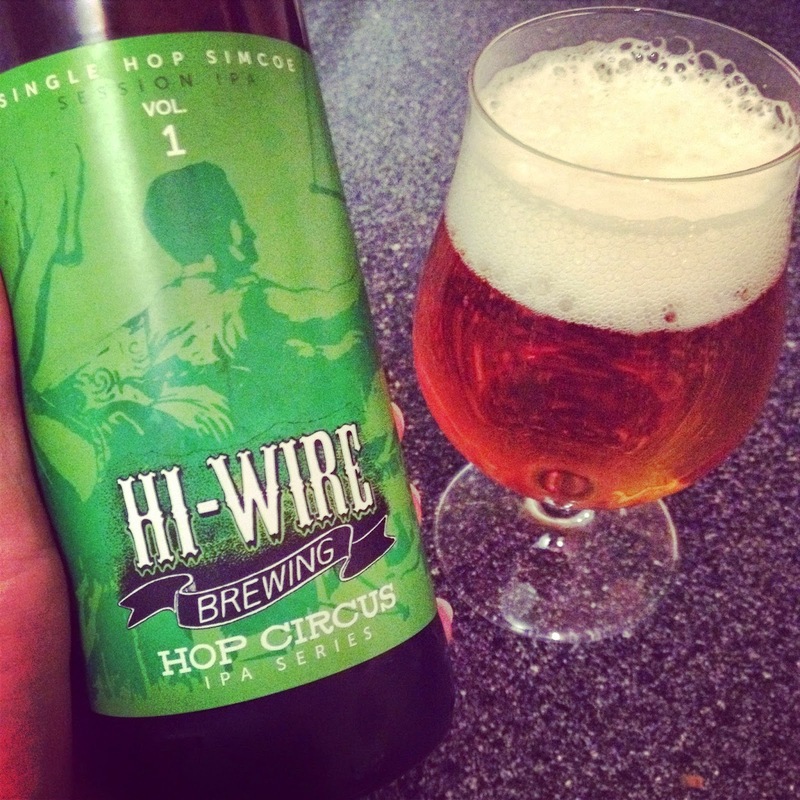 Just about everyone has heard that the Hi-Wire Lager is an ideal summer drinker. 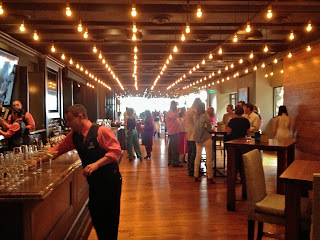 Check out the Hi-Wire bottle release party this Saturday at the Southern Kitchen and Bar. 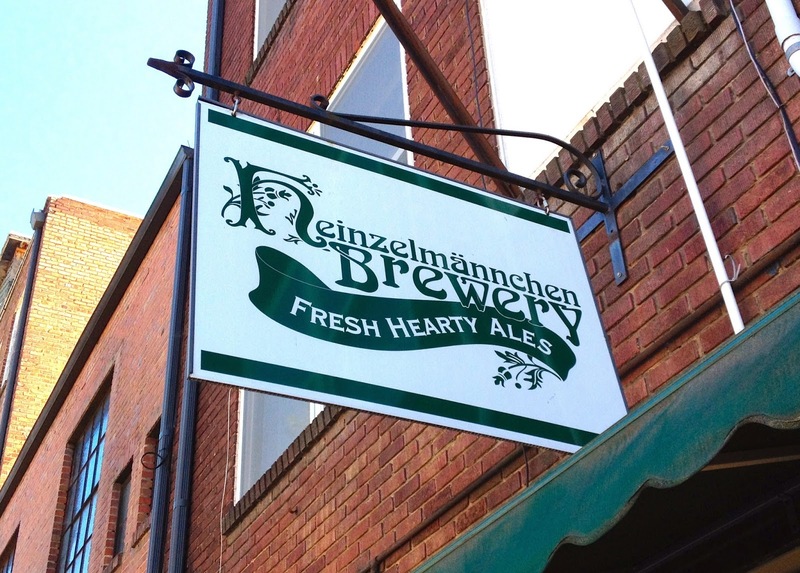 Cliff Mori, an Asheville-based beer connoisseur, has launched his own beer education company. 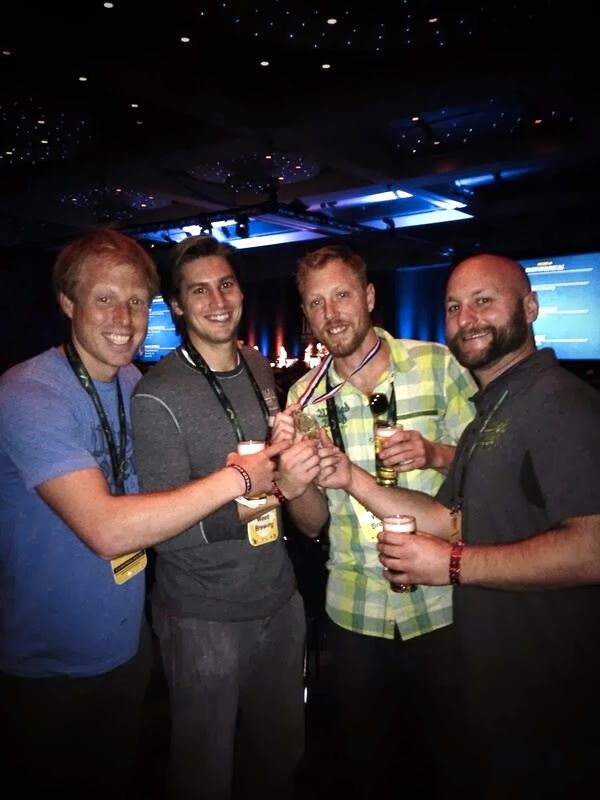 Mori, a Certified Cicerone, will offer brewery tours, staff training, and beer education classes. 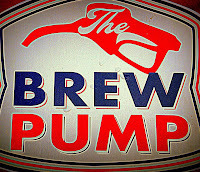 Find more information at Ashvegas.com and the BREW-ed website. 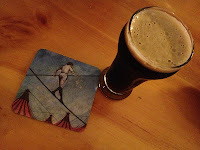 Got local beer news to share? Shoot me a line at david (at) localbeerblog (dot) com. 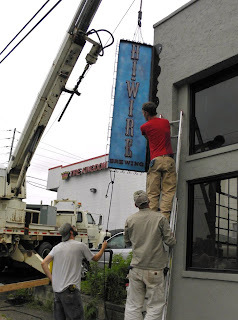 ASHEVILLE, NC, June 17, 2013 – After months of fine-tuning its bottling and labeling equipment, Hi-Wire Brewing’s beers are just about ready for distribution in 12-oz. six-packs! 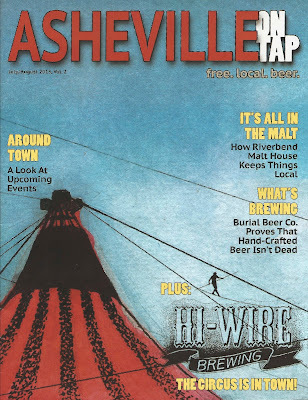 With our beers available on tap throughout Western North Carolina and select locations throughout the state, Hi-Wire is extremely excited to finalize its beer roll-out. Beginning on Friday, June 28th, Hi-Wire’s six-packs will also be available at a host of other retail outlets as well as in area bars and restaurants.